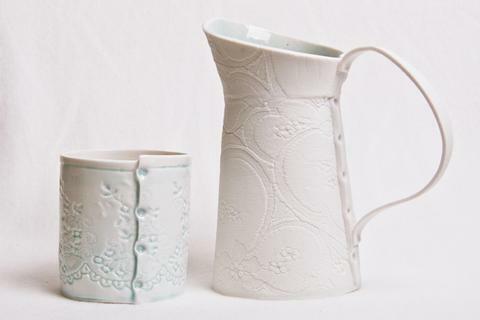 This hand built porcelain jug comes with beautiful lace imprinted detail. 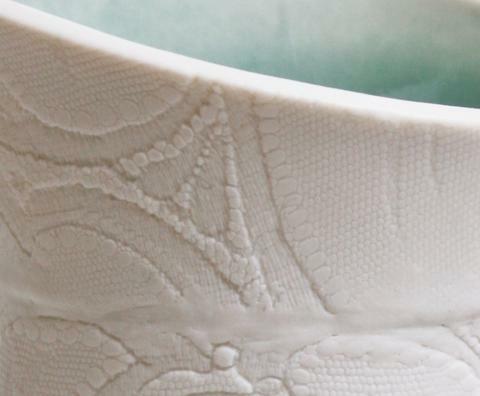 It is available in white and sand brown exterior glaze colours and is approximately 21cm high with a 12cm base across. Please note that sizes aren’t exact as each piece is handmade and unique.